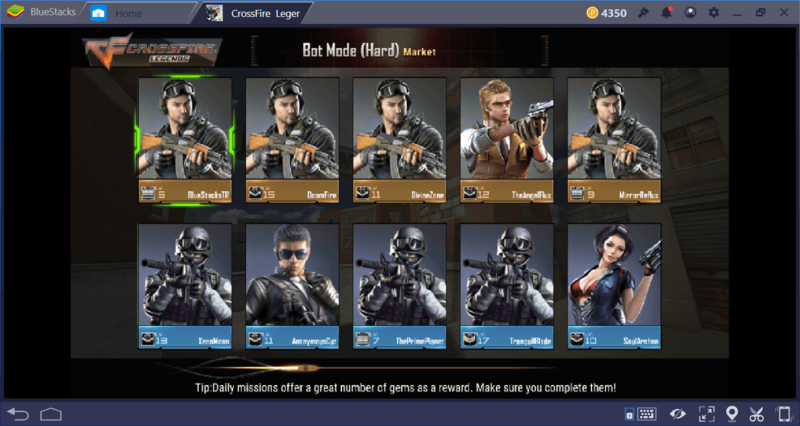 You may have mastered the PvP mode in Crossfire Legends, but the ranked matches are a different kind of beast. Every shot you take must find the target and you should know the maps very well – even the slightest mistake will have deadly consequences. All of the players in ranked mode know what they are doing and you have to be at least as good as them. Otherwise, you will not earn rank points that will allow you to acquire permanent equipment and weapons. 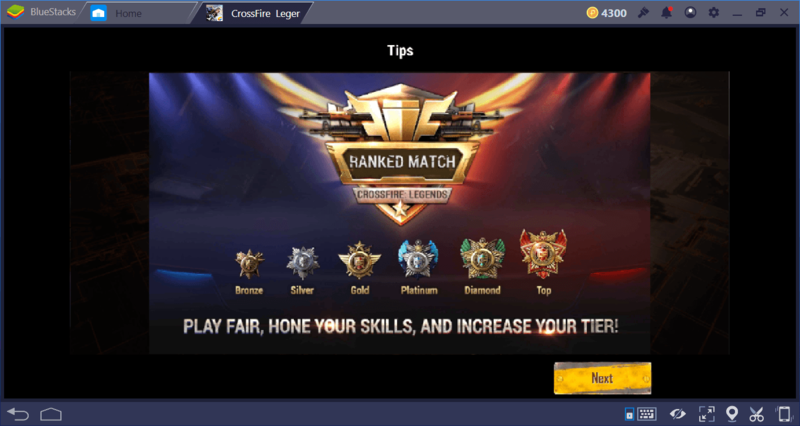 In this guide we have prepared to make your job a little easier, you can find tips and tricks that will help you in ranked matches. You should take advantage of bot battles after trying the PvP mode and before starting the ranked matches. We even recommend that you spend at least one week in bot battles: Once the right settings are applied, this feature can be really “educational”. Bot battles can be reached under the PvP menu. While this mode is active, you can play on all maps, but only for TDM and Demolition modes. All your opponents and teammates will be computer controlled bots in this mode. Other than this, nothing is changed, the maps and the tasks you need to complete are the same. There are three levels of bot difficulty you can use: Easy, Hard, and Nightmare. Do not waste time with easy difficulty. After completing a few matches at hard difficulty, switch directly to the Nightmare. Nightmare difficulty offers you a very “real” experience, almost as real as playing against real players. So if you are not struggling with the nightmare difficulty, then you will not have too much trouble in ranked matches. If you cannot get a satisfactory K / D ratio (*) in the nightmare difficulty, however, you are not ready to start the ranked matches and you must continue to practice. (*) K / D is short for kill/death. Basically, kills are divided by deaths and the results show how successful you really are. For example, if you get 10 kills and 5 deaths, your K / D ratio is 2, which is not a good figure. This is because for every 2 kills you get, you died once. Bot battles are also an excellent opportunity to learn maps. 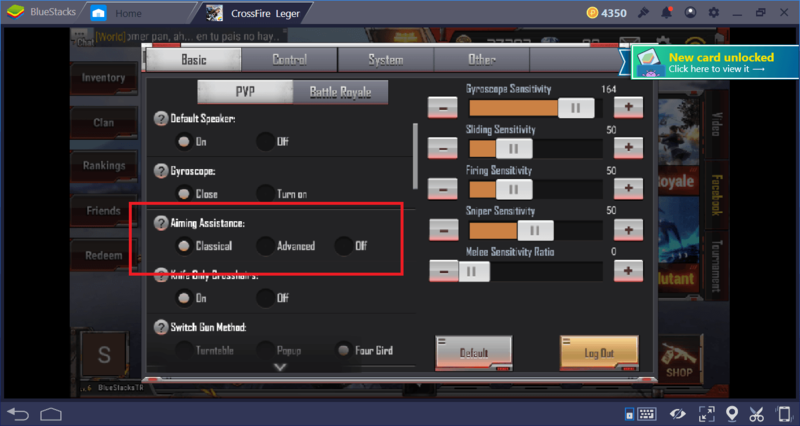 You already know what they look like because of the PvP mode, but this time, you can really learn them: Identify the best places to set up an ambush during bot battles and test if they work. You can also try out various combat tactics and see how successful they are. We especially recommend practicing the strafing tactic and entering the melee distance of your opponents: If you master this technique during the bot battles, you will gain a great advantage in the ranked matches. First of all, congratulations on unlocking the ranked mode – we know you worked hard for it. 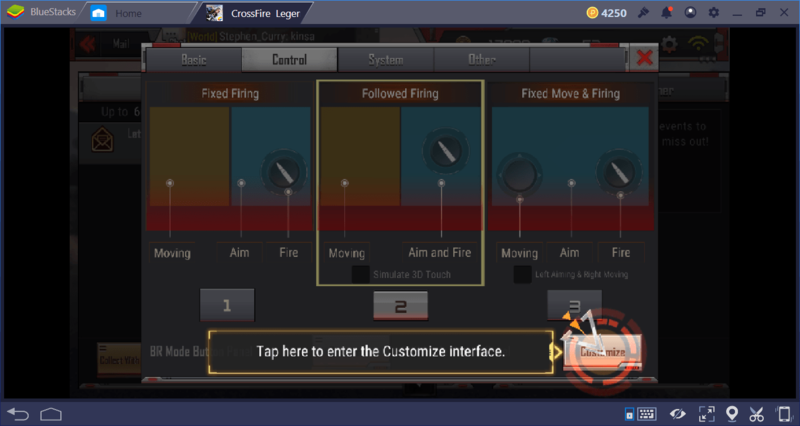 You will now be playing at a different level and you will see how your skills affect the course of a match. In other words, you have a chance to make a difference, and if you do, you will be rewarded accordingly. 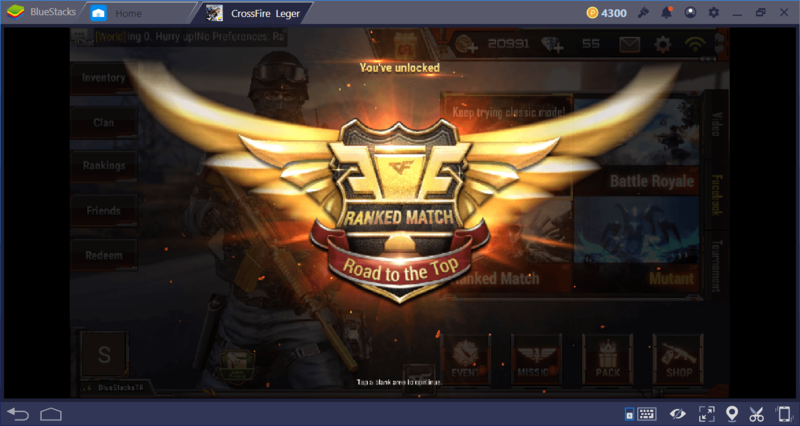 With every match you win, you can earn rank points, advance to the next tier, and increase your global ranking. 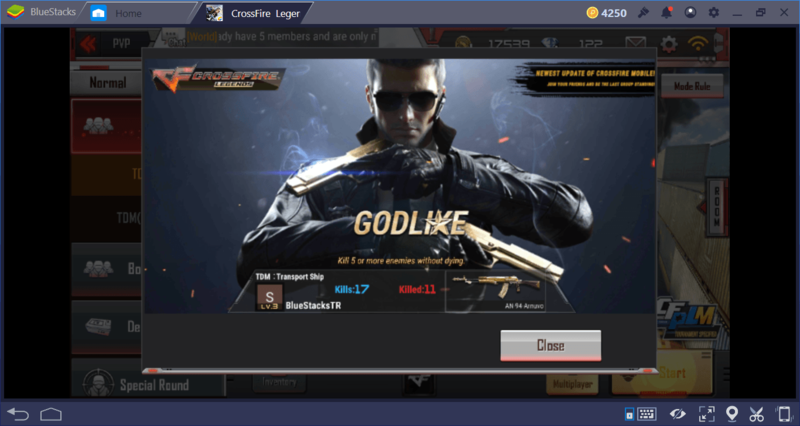 However, if you do not have friends who play Crossfire Legends, you will not be able to play ranked matches whenever you want. 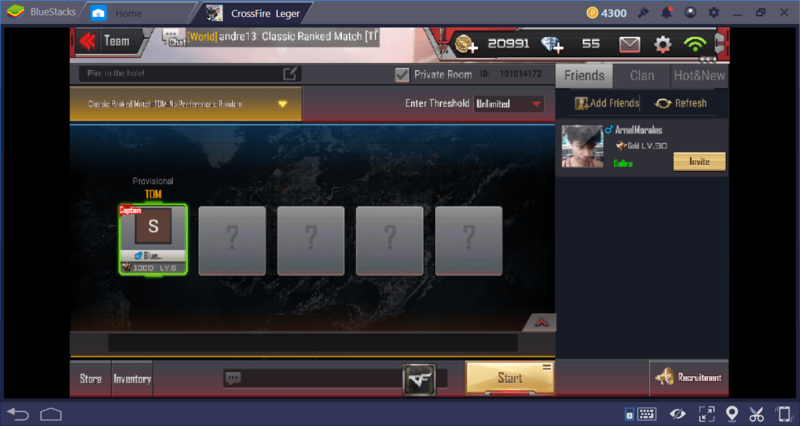 Unlike the PvP mode, teams are not randomly created in these matches. You must be already in a team or create your own team to start a ranked match. In other words, if you do not have any friends to invite, you may need to wait a long time to get started. 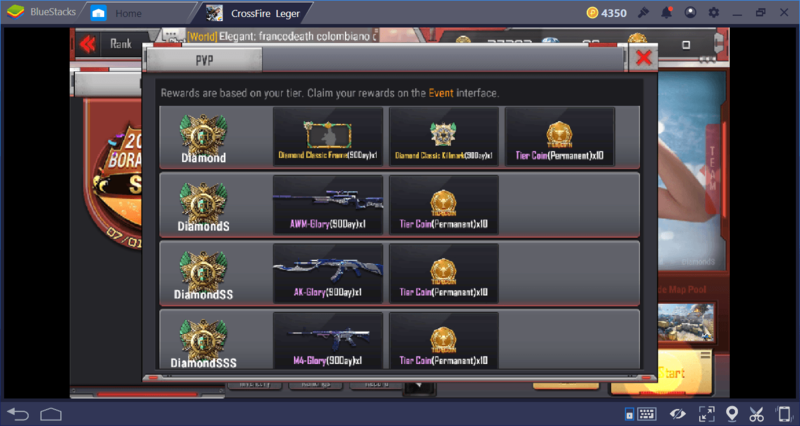 Nevertheless, it is worth waiting: Ranked match rewards are much more satisfying and if you make it to the top 100 in the global ranking, you will be entitled to additional prizes. So far, standard controls may have helped you, but your reaction time should be even shorter in ranked matches. For this reason, we recommend that you switch to a different control scheme. Our recommendation is to use the “followed firing” scheme. In this mode, the mouse cursor and the fire button move together. So it is much easier (and faster) to shoot. You can activate this scheme under the “settings” menu. In the standard control scheme, aiming assistance is on by default. This feature makes it easier for mobile players to aim because the aiming reticle automatically stays on the opponents. But with BlueStacks, you play with the keyboard and mouse, and you do not need that kind of help. Moreover, aiming assistance is a feature that makes it difficult to aim freely and prevents you from shooting, for example, in the head. For this reason, turn off aiming assistance to be able to aim freely just like in classic FPS games. So far you have used and mastered your primary and secondary weapons, but we are sure that you have not been very interested in throwable items. This is a mistake: You cannot win ranked matches by just shooting, you have to use every feature that can help you. Throwable items are of great importance in this regard. You can carry 3 throwable items in total and one of them must always be a hand grenade. In a closed-corridor map, a grenade you throw from your own base can land on the opponent’s base. 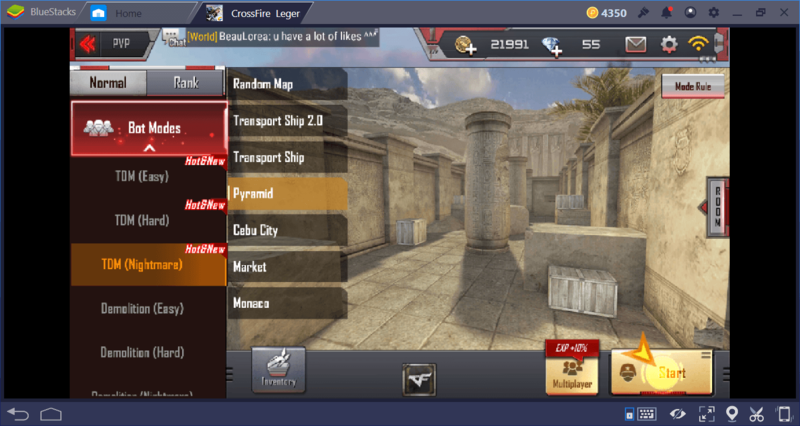 This is a tactic that will allow you to get multiple frags, especially on very small maps like Cebu City. 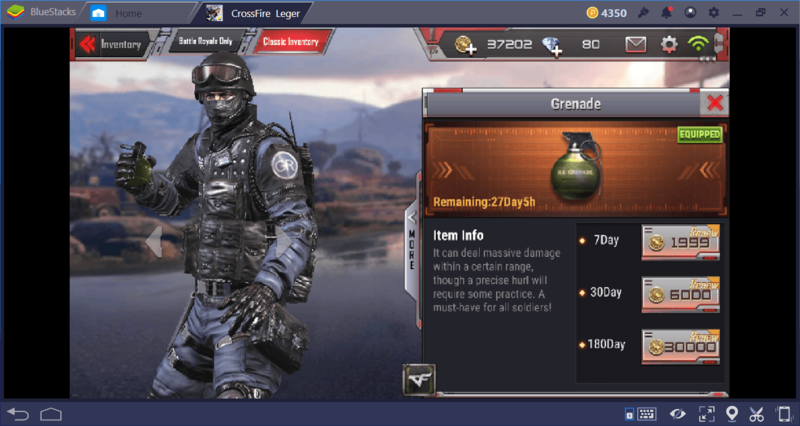 Your opponents always spawn in the same place, and landing a grenade right to that spot at the right time will eliminate multiple opponents. 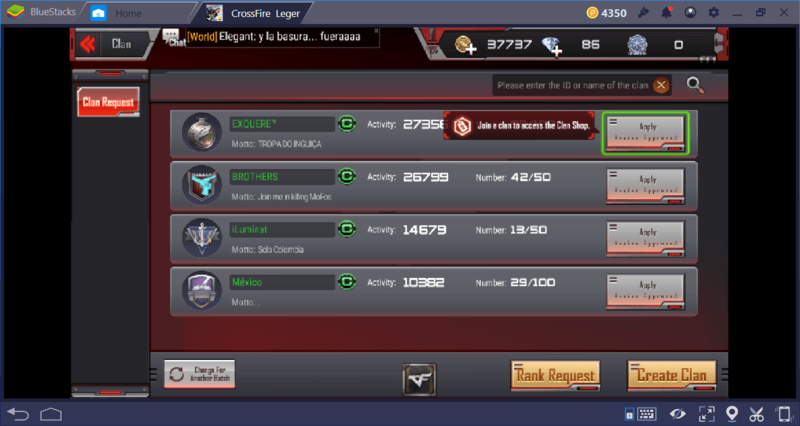 If you join a clan, you can make ranked matches much easier. Because there will be a large number of clan members with whom you can team up. You can also get access to the “clan store”. For this reason, we recommend you to join a clan as soon as possible. 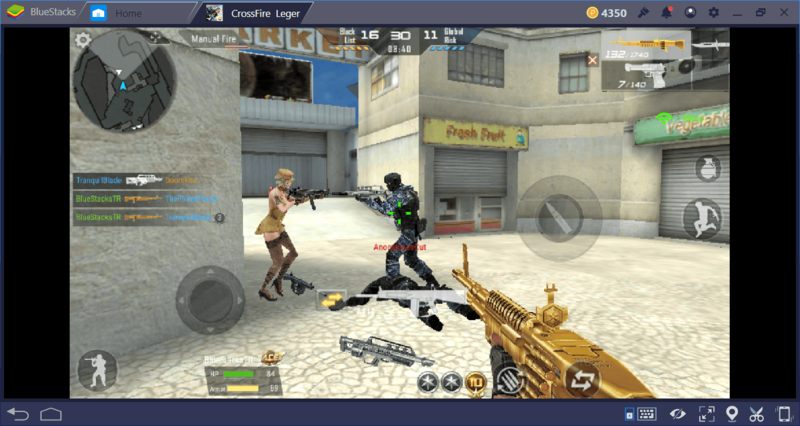 Crossfire Legends is a game that becomes more enjoyable when you play ranked matches. In fact, all other modes prepare you for them. 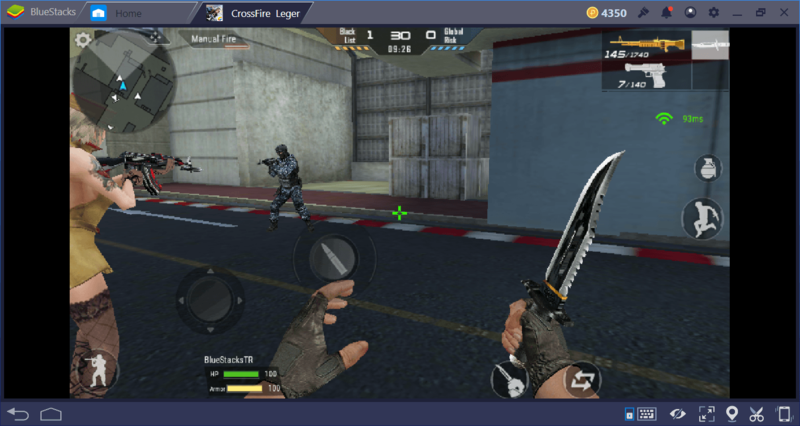 If you know what you are doing, you can become one of the top 100 players in the global ranking and learn what it’s really like to play a competitive FPS. 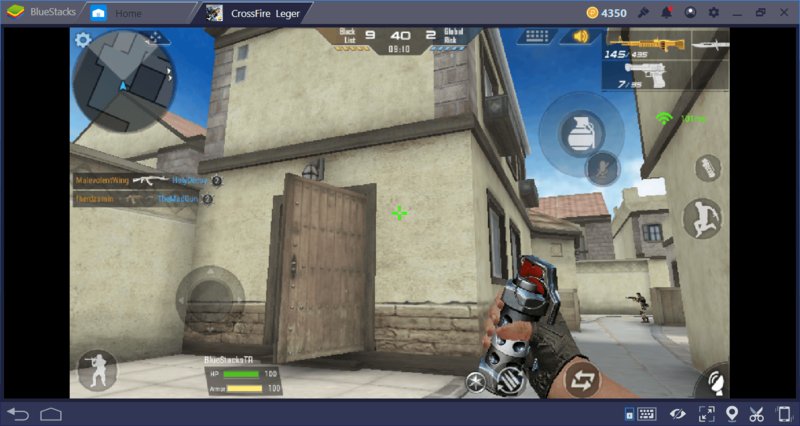 Other Crossfire Legends guides we have prepared contain many tips and tactics that will make your job easier, so we encourage you to read them as well. Good luck in the battlefield!